BT has decided to remove all data limits across its broadband plans, alongside cutting the prices of the previous ‘unlimited’ subscription packages. In other words, plans that previously had capped data limits – a specific monthly allowance, for example 12GB on the basic 17Mbps package – now allow for unlimited downloads. So you can use your connection to stream or download to your heart’s content, whatever plan you subscribe to, at least for the time being. As ISPreview, which spotted this development, notes, this has happened before, and there’s no guarantee that capped limits won’t be reintroduced in the future. At any rate, data caps have been banished for the moment, apparently due to the fact that their pricing sometimes confused consumers, according to BT – they simply didn’t appear to be as competitive as the unlimited services. And those previously exclusive unlimited plans have had their pricing discounted, presumably to make up for the fact that the value of the unlimited tag has been diminished with this latest move. 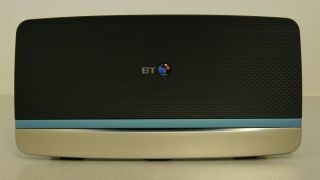 In an offer which ends on April 20, the BT website now lists its three main plans with a 25% welcome discount. The basic Unlimited Broadband plan (up to 17Mbps DSL) now costs £29.99 per month (which includes your BT line rental), with Unlimited Infinity 1 (up to 52Mbps fibre) priced at £34.99 per month, and Unlimited Infinity 2 (up to 76Mbps fibre) costing £44.99 monthly. ISPreview reports that Unlimited Infinity 1 has been reduced to £28.99, and the basic broadband subscription to £23.99, although those aren’t the prices we’re seeing on the BT site. At any rate, you get a number of other benefits with those plans, including 100GB of cloud storage (500GB with Infinity 2), BT Virus Protect, access to some 5 million BT Wi-Fi hotspots across the country, and of course your Home Hub router (or Smart Hub with the fibre plans). Free weekend calls to the UK are also included with the phone rental. Speaking of BT’s landline charges, back in February, Ofcom twisted the telecom giant’s arm to reduce line rental costs considerably in the future – although only for those who just have a phone service, and not broadband with it. And as we reported earlier today, Citizens Advice has also been on the warpath against ISPs in the UK, picking out BT as the worst offender when it came to hikes in the cost of broadband subscriptions after the initial discount period of a plan has expired. That’s always something to watch out for, although in fairness to BT, the company does list the ‘price after 12 months’ (after the discounted year-long contract has finished) on its website pricing tables, albeit in small text under the bold headline prices.